3-STAGE ELETRONICALLY-CONTROLLED EXHAUST VALVES: 3-stage electronically-controlled exhaust valves provide improved running quality, crisper throttle response, smoother idle and improved fuel economy. The active feedback for the exhaust valve position provides more accurate fueling in transient situations. These exhaust valves also improve combustion stability, leading to improved durability and engine life. ASSAULT TRACK OPTION: Assault riders have a choice between the Peak 2.25" and the Series 6 2.6" track. 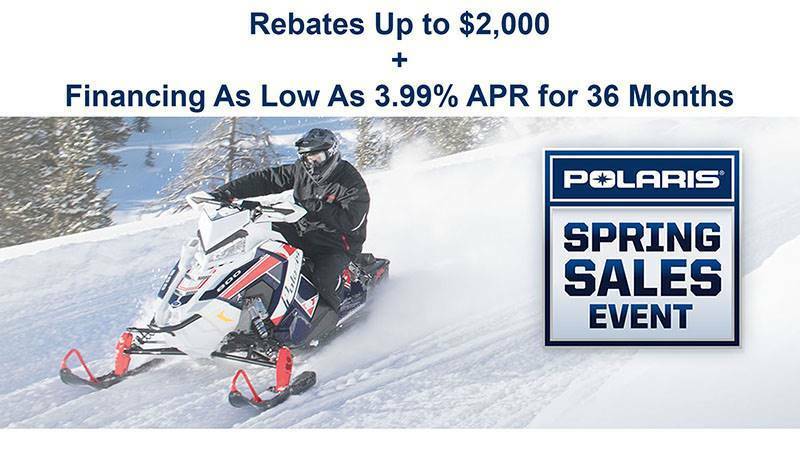 The all-new Polaris exclusive Peak 2.25" track is the ideal track for mixed hard pack and deep snow conditions providing impressive traction and control. The single-ply design features a stiffer lug base with flexible tips to provide a hybrid of speed and flotation. The all-new Polaris® exclusive Series 6 2.6" track provides the ultimate all mountain performance. The new lightweight track is designed for improved deep snow and hard pack traction and better lift. 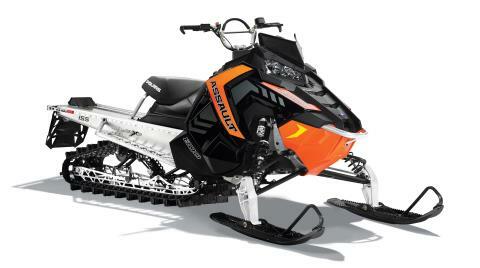 INTEGRATED STORAGE SOLUTION: Optional, accessory storage was designed and developed right along with the RMK® AXYS® platform, so it installs securely and features seamless, integrated styling that matches the sled’s design lines. Polaris Engineered with the highest quality of materials. LEGENDARY BALANCED™ CONTROL: The patented AXYS® chassis delivers the RMK’s renowned perfect balance that riders have come to expect. The new RMK offers increased, ultimate control and a more compliant ride.